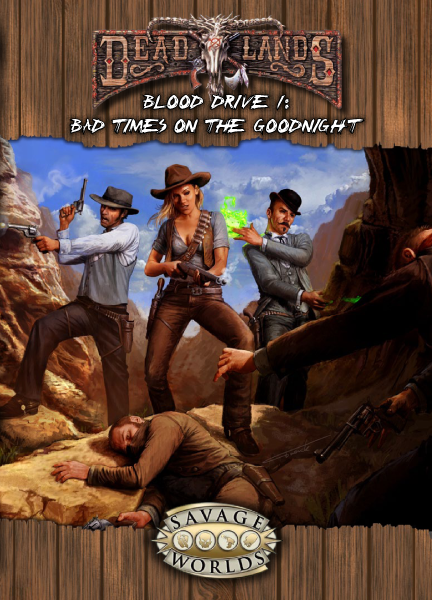 Blood Drive 1: Bad Times on the Goodnight is the first adventure in a series that spans one of the longest, most dangerfraught cattle drives in the Weird West! 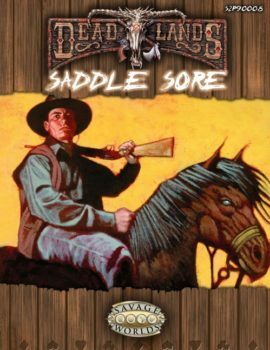 Head ’em up and move ’em out as your posse becomes hardened trail hands fighting for their cattle, their land, and even their lives! Head ’em up and move ’em out! 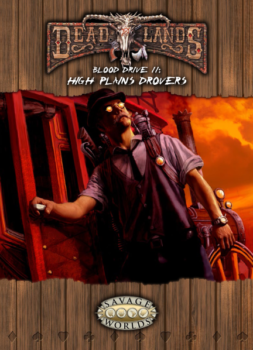 Your cowpokes are joining one of the longest, most dangerfraught cattle drives in the Weird West—spanning two countries, a war-torn no man’s land, and the Sioux Nations! 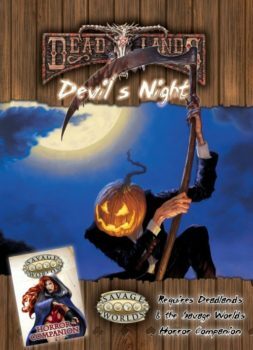 Along the way, they’ll cross paths with virtually every major railroad, bloodthirsty border raiders, Indian war parties, and of course, nightmares of the sort found only in a land ravaged by the horrors of the Reckoning. They may make an ally or two, as well as at least one dogged enemy. Bad Times on the Goodnight is the first of three in the Blood Drive series. Bad Times on the Goodnight is not a complete game. 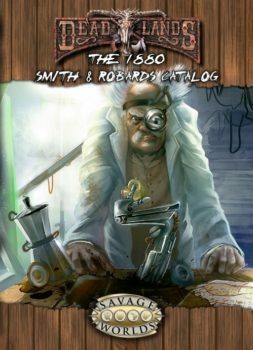 It’s a supplement for the Deadlands Reloaded setting for the Savage Worlds game system. 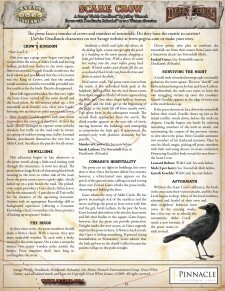 This is an Explorer’s Edition sized PDF (6.5″ x 9″). Full-color. 37 pages.